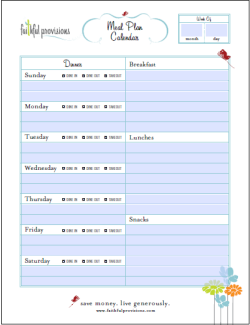 One thing you will notice about my meal plan is that you will see some of the same meals cycle in and out on a regular basis. My biggest struggle is finding new, easy, healthy and budget-friendly meals. And to be completely honest, I don’t like experimenting, because there is nothing worse than taking the time to prepare a meal then no one likes it. It’s a bit of a downer. So I tend to be a creature of habit. But, I am trying hard to at least rotate in something new when I think it will be a no-brainer. If you have some favorite meals, I would love to hear them. This mama can take all the help she can get! 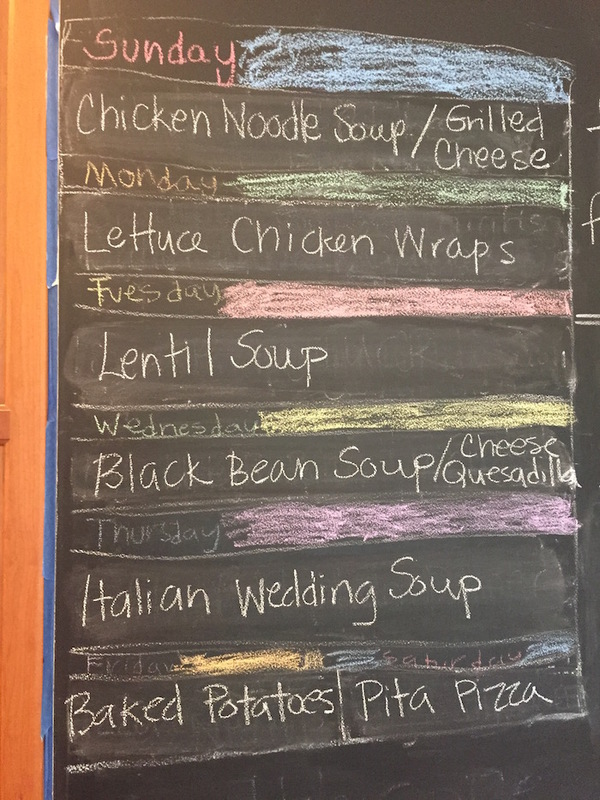 If you are able, I highly recommend having a chalk board wall in your kitchen, or at least a dedicated place to display your weekly meal plan. It has made all the difference for me and the kids love to know what to expect for dinner. Please excuse all that painting tape on the wall, we painted our kitchen this weekend. For $25 we completely changed the look of our entire downstairs with a white kitchen and I couldn’t love it more! Now that Halloween is over, it’s time to start thinking about next year. Yes, it is. You will find the best deals right now on next year’s costumes. 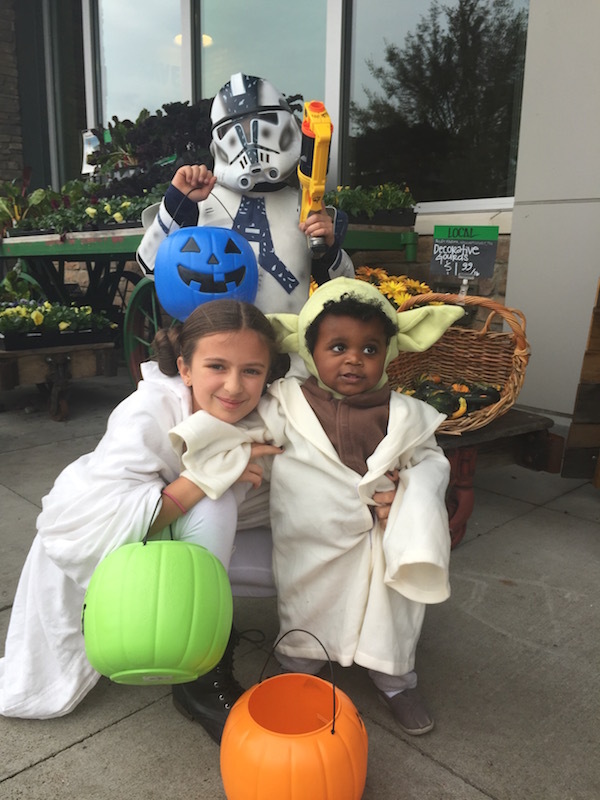 See that cute little Yoda and Storm Trooper costume? I got those the week after Halloween for almost 90% off. I pay $1.50 for Yoda and $5 for the StormTrooper and he has worn this one 2 years in a row! If you missed all the highlights from last week on the blog, be sure to checkout The Best of Faithful Provisions emails I will be sending out each Sunday to catch you up. Find is this weeks premiere issue HERE, you will find links to Saving When Using Gift Cards, Green Smoothie Freezer Packs, Amazon Shopping Tips and more! I can’t believe this weekend is finally almost here. 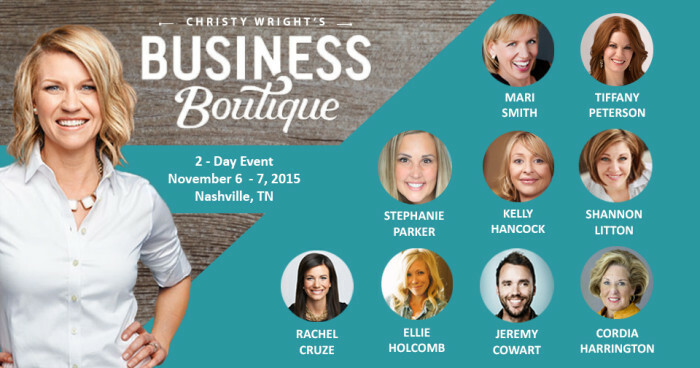 I will be speaking at Dave Ramsey’s FIRST EVER Business Boutique Event with Christy Wright! This Friday and Saturday I will be leading 3 breakout sessions on blogging and on a marketing panel, If you will be attending will you please shoot me an email or contact me and let me know? I would really love to meet you at the event. If you are thinking about going, be sure to head over and grab the $20 off coupon code and join me! *I used the leftover chicken & carcass for broth from last week’s meal plan, and dropped it in the crockpot early Sunday morning. *substituting Naan from Costco for the Pita bread in these. 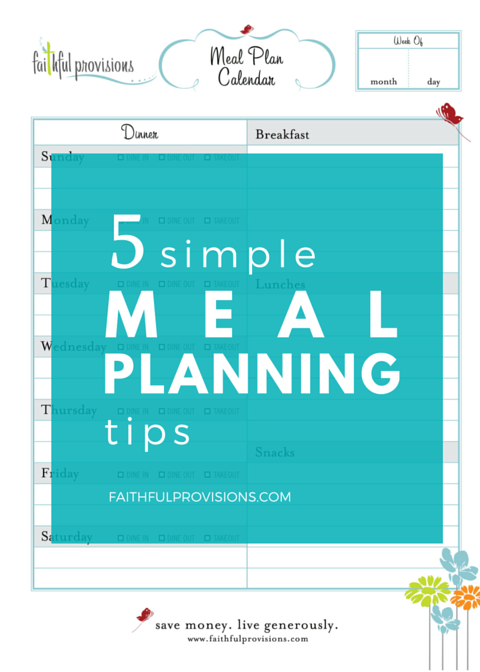 Here are a few more meal planning resources that might be helpful. 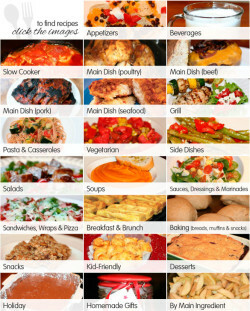 My Recipe Box Page – full of over 400+ money-saving recipes !